More than two years, an aspirants needs to imbibe a whole lot of topics; be it in Physics, Chemistry or Biology. Some say it’s tough to manage all of them together, some say it is impossible to do so, yet there are some who do it. The difference lies in how you manage your time, and how well you cover these topics sequentially. Doing them sequentially is important because otherwise, what you study wont stay till the end. A student has more time in class 11th to orient himself, than in class 12th. We would advise students of class 11th to first concentrate on each topic individually. Whilst in 11th, it is important to build your concepts and interests. Any doubts, get them cleared immediately. Often it is that this stage that students tend to develop a fear of chapters like Rotation, Gravitation, etc. And the fear thus developed troubles them throughout their preparations. MAKE SURE YOU DO THESE CHAPTERS PROPERLY IN CLASS 11TH, TO AVOID THE PHYSICS SCARE IN +1 AND +2. You might go wrong during solving initial questions. But make that a reason to study more and improve yourself. Chapters like Mechanical Properties, EM waves etc. often seem very boring and difficult to retain. So keep studying these again and again, till you memorize them properly. Even in chemistry, you’ll face similar problems and needs to study topics again and again. For physical Chemistry, you should know all the formulae and their proper application. Often, students aren’t comfortable using some particular formulae. But your aim should be to stay well versed with all of them. Organic chemistry calls for a very systemised approach. Each chapter in organic is linked to its previous one, and forms a base for the next topics. The most typical organic questions, those with a series of reactions using one starting reactant and asking about the final product, test how systemised and directional your thinking is. So be it nomenclature and isomerism, or alcohol and phenols; make sure you devote proper time to each of these topics. Inorganic Chemistry is tough to have a strong grip on. For AIIMS, every figure, bond diagram, series/order in the NCERT is important. All uses given in the ncert should be learnt by-heart. It would seem impossible initially, but if you keep doing it regularly, you ll gradually learn it. And of course, Qualitative Analysis is a must for AIIMS MBBS exam. A similar approach should be adopted for Biology. Each topic, diagram and data should be learnt in a systematic manner, by heart. Yes, it would seem impossible if you look at the size of the syllabus; but as you do it again and again, you ll realise memorising more than 80-90% of the syllabus is possible. THE KEY HERE, IS TO UNDERSTAND AND LEARN TOPICS SYSTEMATICALLY; SO THAT EACH PRECEEDING TOPIC PREPARES YOU FOR THE NEXT ONE. Look up into HC Verma for any doubt in Physics, OP Tandon in Chemistry and Trueman for Biology. At end of each topic, make sure you rethink all the major points you studied, and solve the end exercises. Often a tendency to solve questions days after doing the topic weakens a student’s grasp on the subject. On the contrary, a student in class 12th often has to rush through subjects. 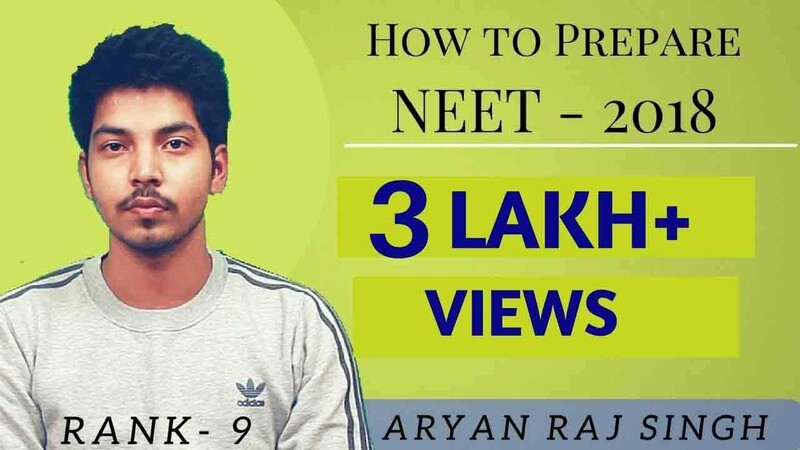 We personally wont recommend revising class 11th in the early months of class 12th… Atleast till August-September, a student in class 12th should aim at completing his +2 syllabus, atleast most of it. And it must be done with utmost concentration without worrying about 11th. After September, in the last months of your preparation, you will need to push forward all subjects together. That’s when you’ll need to balance our time management according to the needs. If one topic is weak and you are sitting down to improve on it, make sure the other subjects still stay in control. A very common tendency of students is to go after books like Solomons, JD Lee etc. for Chemistry and other such similar books for Physics. The mistake that students make here is that to study one specific topic, they actually start reading the whole text. In some cases it might prove to be useful, but by-and-large, one should only look up very specific doubts from these books. Unnecessarily going through those texts wont put your time and energy to their best use. Class 11th and 12th present many hurdles to students; but if you maintain a constant level of interest and determination throughout, these two years of study could really be smooth sailing for you. What to Study, When to Study What? In this article, we shall discuss what to study, what not to study and when to study what? For premedical preparations, the amount of material available to do is much much more than you need to do. So, it is important to know what to spend your precious time in. Regular studies are very important. Whenever you are taught any chapter is physics, chemistry or biology, you should be well versed with all the concepts and points of that chapter before the next chapter starts. For physics, practice MCQ questions as and when you study the topics. Read the NCERT simultaneously and highlight the important points so that it is easy when you read it the second time. It is also very important to clear whatever doubts you have in any concept or question without delaying it. Remember, roting down formulas will NOT do any good because without practicing questions, your concepts will not be clear and you’ll end up being confused. For chemistry, again, practice questions and read up the NCERTs as you are being taught chapters.It is very important to thoroughly learn the NCERT for Inorganic chemistry. Inorganic chemistry will involve quite a lot of rattafication. For organic chemistry, practice as many questions as you can, especially of General Organic Chemistry (since if that is strong, organic will be much easier to understand). You need to remember all the named reaction given in the NCERT. And for the last chapters of organic (chemistry in everyday life, polymers etc.) you will have to resort to rattafication. So, each day, give at least an hour or two to the biology NCERT. Practice questions regularly, and it is equally important to clear your doubts. In the last two/three months before the exam, it becomes a priority to practice time bounded test papers. Do the previous year papers of the last 8 years or so, and analyse the mistakes you make in them. Give a lot of tests and keep revising topics you feel you are weak in. 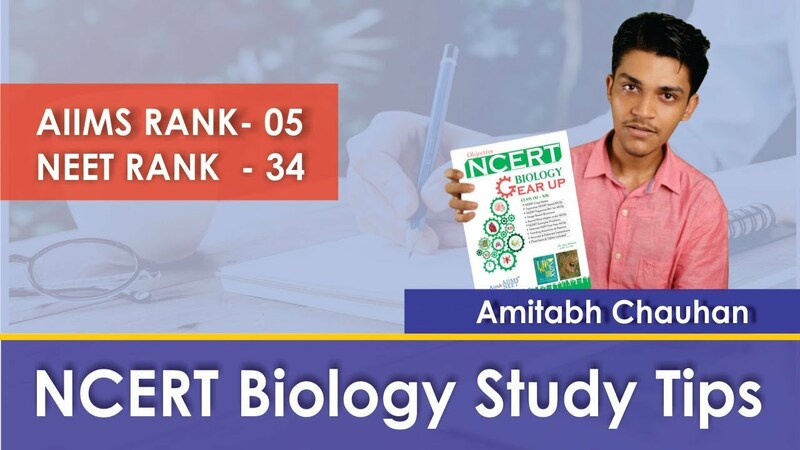 Make sure you have the entire biology NCERT at your fingertips. Do NOT commit the mistake of referring to a lot of books for questions, since that creates chaos. Stick to one or two books, and there is no need to go into a lot of detail. Studying the syllabus of the NCERT and the notes given to you by your institute teachers is enough theory. You will get additional knowledge as you practice questions. Do not waste time reading a lot of detail in inorganic chemistry, or doing high level books like Solomons for organic. First focus on keeping your basics clear. Books like Solomons should be used only as a referral book, to understand some high level concepts you might need. During the Summer Vacations between class 11th and 12th, revise as much of the 11th course as you can, but this should NOT compromise your studies of the ongoing 12th course in any way. After you have finished with 12th (by December) simultaneously revise 11th and 12th in December and January, while giving plenty of test papers. In February and March, focus your attention entirely on 12th, for preparation of the boards. As soon as the boards are over, get on to 11th. In the last month, revise the entire course according to a plan, and do as many test papers as you can. In the one month between AIPMT and AIIMS entrance, you need to focus on Assertion Reason questions and GK. Be sure to read up the biology NCERTs at least once and also the ‘points to ponder’ in the Physics NCERT. 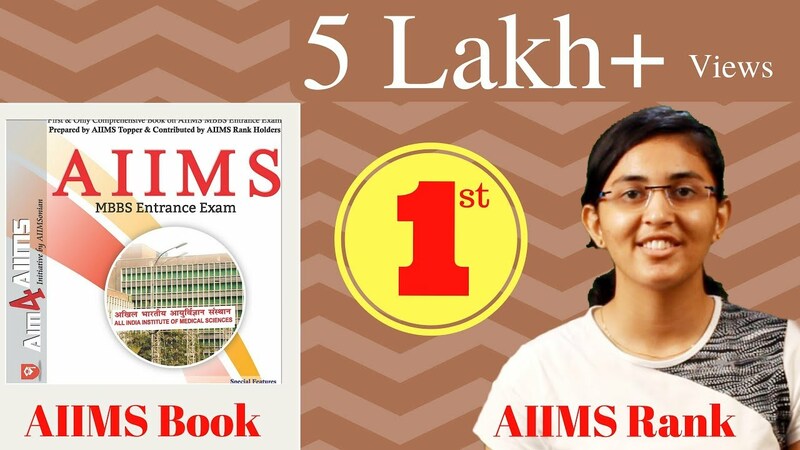 For GK, do any book with a nice question bank, but do not pay too much attention to GK, since the course is way too vast (Aim4aiims book is good). SO, keep yourself focussed and remember that the quality of study is more important than the quantity. So, first and foremost…NCERT. If you haven’t heard it enough by now, the NCERT books are your ultimate path to success. Especially the biology NCERT’s, they have to be read multiple times until you have every important point at your fingertips. All the diagrams, all the labelling, the description of the diagrams, even the summary of each chapter is important. Doing previous year papers will give you a fair idea of the type of questions that come from them. As you read up the NCERTs, you’ll find certain lines which could come as Assertion Reason questions. Mark them. Other than that,You can practice with "NCERT Biology Gear UP" along with NCERT. YOu have not need to read any other books except these both books as you will get past year question and crips notes in this book. For Inorganic chemistry, studying the theory again and again is more important than doing questions. NCERT is very important for inorganic, all the reactions, reagents, special properties of compounds should be crystal clear. You can make notes if you want to. Study the notes they give you at your institute. For organic chemistry, again, you need to practice ample amount of questions for getting a good grip on it. You should know the concept and reaction mechanism behind every question that comes from practice. Some books with enough questions are MS Chauhan. NCERT questions are a MUST!! Books like Solomon’s, though can be referred, are not necessary. For getting your concepts of general organic chemistry, MS Chauhan is a good book for medical exam. For Physical chemistry, numerical questiosn should be practiced to get a strong grip. Some books for physical are OP Todan or N.Avasthi. Lastly for physics, practice is the only thing that can make you perfect in it. Pradeep’s, S.L. Arora are some books which have a good question bank. "Concepts of Physics by H.C. Verma" is a very good book to build up concepts in order to tackle higher level questions. Apart from this, NCERT of course is a must, especially the “points to ponder” given at the end of each chapter. In Physics, you need to do the following things: Read up and solve the NCERT, Solve the institute modules and then do a book with lots of MCQ questions. Then go for books like H.C. Verma if you get enough time. Practice the previous year questions and look up the extra topics that have been asked, like Camera and Laser. SO, basically, you need to practice as much as you can, have clear concepts and keep the NCERT (of all subjects) on your fingertips. The mentality and methodology of a student determines to a great extent, his performance in the exam. It won’t be unusual for a student’s confidence and interest level to decline steadily, as he moves from question 1 to question 200 (AIIMS q. paper). The major problem this presents is that by the time the student reaches the tough questions of assertion-reasoning, a part of his brain already starts to feel tired. So naturally, the questions requiring clear thinking and logical reasoning start seeming tough to solve. In physics, this often happens with questions of waves, gravitation, optics and modern physics. Such questions need to be thought over with a very clear and directional mind. In chemistry, the same trouble arises with assertion reason of physical chemistry tirations and organic chemistry. Biology presents relatively straight-forward questions, but still, A & R questions of chapters like classical botany, human physiology etc. may need you to link facts. The best way to tackle this problem is to look at the question paper in an organised manner. Before attempting the question paper, you should know what your weaknesses and strengths are. Your weaknesses will have seemingly tougher questions so it is always better to start off with those parts of the question paper. Generally, a student who is strong at calculations and logical thinking starts with physics while a student who is good at recalling things starts with biology. Physics in an AIIMS exam is often very calculative and tricky. So even a strong student can feel shaken by it. But the point is that, solving every question of physics in an AIIMS exam isn’t possible in most cases. You just need to make sure though you’ll feel very tired after the 40 questions of physics MCQ, the assertion reasons must be approached with a fresh mind. If not immediately after the Physics MCQ, you may first complete all objective questions and then do all A & R questions together. A big proportion of students also prefer to do biology first, so that they remain confident for most of the exam time. This probably is because major part of biology is from the NCERT. But while adopting this sort of technique, the students should make sure they do not leave out Physics for the last. If you have to start with Biology, do so Then move over to Physics, then to chemistry and finally to the assertion reasons. Students often remain tensed about questions in biology from Classical Botany (Plant Kingdom/ classification of life) and Ecology. The questions from these chapters are primarily from the NCERT. Every table/ diagram of the NCERT must be at each student’s tips because these have the highest chances of being modulated and asked in some or the other form. But it is always advised to the students to go through major happenings in field of Ecology. Like the major summits and meetings and conventions and protocols. However, AIIMS primarily focusses on Plant and Human physiology. (Including Class 12th reproduction unit). While writing the exam it isn’t necessary that you’ll remember all that you’ve read. Often we see questions that relate to something we’ve read before, but still cant recall the answer. It is very important not to freak out under such circumstances. Just leave it question aside for a short while and move over to the next questions. Later after having solved most of the other questions, come back to that initial problem and think at it with a clear mind. If you’ve read it before, it will definitely stike you. Also, always attempt GK at the end else it could get scary at times!! GK is mostly prepared at the last. Make sure you do the recent Nobel Prize winners, Important Dates, Important Sorbiquets, Heads of Important Govt. Offices, And the latest in Sports- Winners, Tournaments and trophies. Whilst in the exam, just remember not to panic, believe in yourself and believe that what you have prepared would be enough to get you through. What are those 10 ways to save time in AIIMS exam preparation? Time Management is a major aspect one needs to concentrate on while preparing for any exam. Every minute is precious to you and you can gain or lose allot in just a minute or two. Therefore, utilize your time wisely. This will help diminish burden, as well as additional pressure, just around the time your exam begins. To start with, plan out a time table. You know your strengths and weakness. Give more time to the areas you linger behind and focus more on them. Don’t bundle it up and keep aside. You will most likely be unable to finish it in the last minute and may very well need to skip it. Test yourself in recording things you can't recall. Visual aids are always helpful in remembering. Devise easy techniques to remember things. Don’t just cram facts. You will be tested on your basic understanding of your studies. So don't delay to clear questions when you have time. Don’t leave anything for the last minute cramming. That is not exactly the way you approach an exam. This can only lead to failure and dejection. Get ready short notes for revision before exams. This will spare time and exertion as you will not have to go through the entire chapter when you are doing revision at the last time. Get eliminate distractions. Some people can concentrate solely in a very neat and tidy atmosphere. So set up the environment as you want for better concentration. It also depends on people as to what time of the day, suits them to put their maximum effort. So if you're a nighttime fledgling, don’t be guilty, if you're not hovering over your books throughout the day. Practice old sets of papers. Allot timings for each section. Try to follow the schedule. This will help you save time in the examination hall. Take regular breaks, so as to not pressurize yourself an excessive amount of. Checking the center of the examination center is crucial as its helps avoid last moment rush before the examination. Ensure yourself of the correct examination center just in case the name of your examination center is common. it would produce issues right at the last moment. therefore be extremely careful. Revise vital formulas and short notes. Have trust in you and keep patience. Eat right and balanced meals. Work out to remain healthy. Don’t get nervous while preparing for the examination. Don’t lose faith in you. Don’t hit the sack late. Don’t skip meals to spend more time on preparation for the big day tomorrow. Read the problems on the question paper rigorously to avoid silly mistakes. Fill all of your particulars (such as names, roll no. etc.) within the paper properly. Check the queries on the question paper as per the extent of their issue. Don’t rush to reading questions. Never attempt difficult questions first. Don’t attempt any question randomly. Don’t rush to write an answer. Don’t waste too much time in any one answer. Spend a while analyzing the question paper initial. Once you're done reading the question paper, you want to mark the questions as per the extent of their problem. Now answer questions in sequence as per the extent of problem. Obviously, try simple questions 1st followed by tough ones. Move to a different question if you've got already spent an excessive amount of time on one question. Don’t lose your focus whereas answering a question. Attempt questions from Biology 1st as they're sometimes easier than Physics and chemistry. The best time management strategy throughout the examination is to aim simple questions 1st followed by tough ones. this manner you save plenty of your time for yourself. Don’t let your energy wither. How to make concise notes for revision on the eve of examination? Concise notes means to make our study easier. They assist a student to remember and understand well the basic concepts, facts and figures. Numerous a period when previously earned knowledge is required to be reproduced promptly our memory trench us, rather under performs under load. Simply put, just as a computer malfunctions when it is a bit too full of data and application programs, an individual’s brain is also clouded when it is replete with facts and figures. Under such circumstances concise notes might return handy. They drastically cut back the time needed for recapitulating and reviving our cache of knowledge. Why are concise notes important? Students tend to feel tense and nervous on the eve of examination. Anxiety overtakes and it therefore happens generally that a student who, in a very relaxed atmosphere, may need resolved a problem, couldn't attain the same at the examination centre, so creating him ineligible for an otherwise deserved grade. it's so, necessary to be in a very fairly stable and light mood throughout such tests or examinations or maybe interviews. Concise notes instill confidence since one revises the targeted knowledge in a very short time, with ease and quite comprehensively. Conceptual points are also renovated within a short time and hence application of knowledge is better in the grueling moments of a test. In today’s state of affairs wherever a test of overall knowledge and skills is mostly considered a lot of important than one amongst a specialised nature, it's of utmost priority to retain the complete gamut of knowledge that one has acquired and retaining is indeed what's provided by point-wise-notes. Intelligent students are determined to finish the revision of a complete course at intervals a span of 3 to 5 hours. simply looking for about 3 minutes at a well tagged schematic diagram will assist you revise a detail of about 2 pages Experienced teachers have revealed that a well ready note of about 2 pages is also enough to form a decent recollection of a complete chapter of eighteen pages. Thus we can find out easily what a marvel such notes can be! Concise notes might be as bulleted sentences or numbered records. They may at times be in the form of schematic or labelled diagrams. Some students prefer notes in contrasting colours or highlights for vividity. Concise notes whose contents are imagined to be records or data for remembrance are in tabular forms. Typically a concise note is compiled in such the simplest way that every component of the note provides clue to the next part. A concise note might also be in the style of symbols, somewhat like a short hand, that act as memory aids. First attempt to perceive the subject in detail. Make an understanding of your own. Analyze the articles constituting the topic from numerous angles of reasoning. Now create the notes by putting the points in your own words. Pay attention to avoid (a) missing any details and (b) repetition any point. Initial try ought to be thought of as a blue print, then attempt making it a lot of crisp and proper in sequential steps of improvisation. Writing in your own handwriting is often a better option since it's more possible to reside in memory for a longer period of time. Give enough gaps among different concepts, facts and figures. After completion, try recapitulating the whole chapter by reading the points. If it's possible, the note is also considered a good one. If possible get it checked with an expert. More important and difficult areas should be highlighted. Notes may be aided with diagrams where ever necessary. Sometimes one tends to consult many books while making such notes which are not advisable. Maybe a couple decent reference books along with the main text book are quite sufficient for preparing effective notes. A few students obtain such notes from other students or market and concentrate just these before the examination. This is a major drawback. Insufficient reading of the chapters and inadequate acqisition of concepts may play havoc with the overall ability of the student. If the notes carry mistakes these mistakes may be sustained to the the whole span of the course and the wrong concepts may cause wrong understanding of the related material also. Hence a cross check is always recommended. Preparation One month before exam….. Preparation On the eve of exam…..
Make a quick call to a close friend to confirm the timing and centre of the paper. However, you don't transform the call into a chatting session. Take a walk in the garden or watch some news on television — but only for a while! No exam talks at dinner-time! As far as possible, eat with your family on the eve of the exam. Parents can enjoy their kids by cooking something unique. Avoid all talks of exams at the dinner table. Try not to stuff yourself with food or snack during studies. This will just make you languid. Maintain a strategic distance from zesty and salty sustenance. Have lots of green leafy vegetables, fruits, salads and pulses. Small meals prior to the exam will make you more alert during the exam. Try not to stay up the entire night in the expectations this would enable you to remember more. Those who sacrifice sleep end up feeling sluggish the next morning. Also, lapses in memory may occur due to an over tired mind. Carry at least three pens. Not brand new ones, but those that have been tried and tested by you. You should have a flow while using those pens. Make sure the ink levels are full. A set of sharpened pencils. Carry a bottle of water or juice in a bottle to keep you hydrated during the exam. Note: Ensure there are no chits, old bills or receipts in your pen pack. Even if you make a small mistake in OMR sheet, try not to get tensed and ignore even if the invigilator shouts at you for that. Understand that no OMR sheet goes unchecked even if you make any mistake in filling your details in it. NEVER GET TENSED BECAUSE OF THAT!!!! In the worst scenario, if you are not able to answer the first 5 questions you attempted from the easiest portion, and then try to switch the subject and start doing that part without feeling anxious or tensed .Switching the portion will help you build up some confidence in you while answering. While attempting Picture based questions, try to see for which labeled part the question is meant for. Whenever possible, do approximation of values and make the arithmetic calculations easy and fast but make sure you don’t approximate it so much!!! 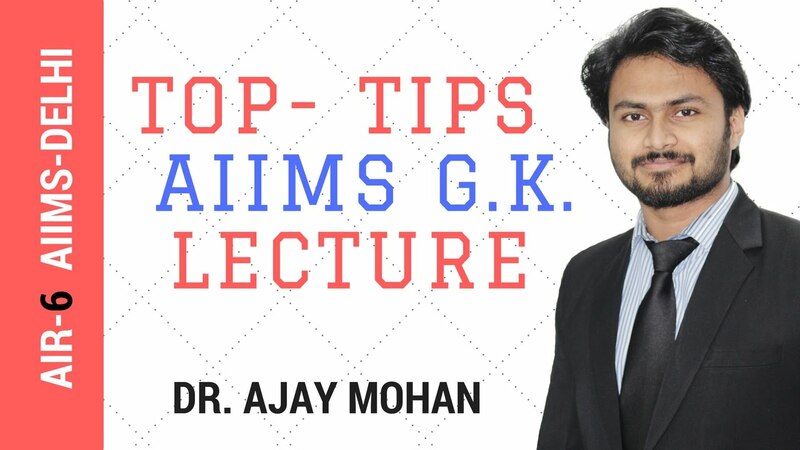 Really loved this article.it will definitely be a great help for the aiims aspirants like me.once again THANK YOU- aim 4 aiims for this fabulous article.l would be happy if you kindly upload such articles on a regular basis and motivate us!!! !